Adria Airways d.d., formerly Inex-Adria Airways, is the largest airline in Slovenia. Today, the majority of Adria Airways' business is in scheduled flights. Adria operates to 22 scheduled destinations throughout Europe. It has been a Star Alliance member since 2004 and a Lufthansa partner since 1996. IOSA Registration was received among the first airlines in the world. The company’s head office is Ljubljana Airport in Zgornji Brnik, Cerklje na Gorenjskem, Slovenia, near Ljubljana. The company has also representative offices in Brussels, Moscow, Frankfurt, Zurich and sales agents in almost all European countries. Adria Airways operates charter flights for the most part seasonally, and most frequently to destinations in the Mediterranean. Sharm el-Sheikh and Hurghada in Egypt are currently the only charter destinations served by Adria Airways all year round. Ad hoc charter flights are also provided. The airline was founded in March 1961 as Inex-Adria Aviopromet (Inex-Adria Airways). In August the company purchased 2 DC-6B from KLM and flew their first commercial flight with a Dutch crew. At the same time, the first Adria crew and technical teams were trained by JAT Yugoslav Airlines and the air force. Adria carried out its first flight with a domestic crew in December 1961. At the same time all other activities necessary for the company were set up and organised, from the commercial to the accounting department. During the following years Adria gradually acquired a market with tourist flights from Germany, the United Kingdom, the Netherlands, and Scandinavia to airports on the Adriatic coast. In 1964 flights to the United States and Canada were added in order to meet the needs of expatriate organisations. Adria also carried out a considerable number of flights for the United Nations. Inex-Adria Aviopromet (Inex-Adria Airways) entered the 1980s as a respectable company with confirmed success on the tourist market and scheduled internal flights. In May 1981 Adria purchased 3 new McDonnell Douglas MD-80 aircraft. Unfortunately, one of them crashed into a mountain in Corsica in December, killing all aboard. In that period, the business remained focused on charter flights to the Adriatic. Flights for guest workers in Germany and Switzerland, which were connected to internal flights, became an important part of the business. At the end of 1984 the first scheduled international flights was also established on the Ljubljana-Belgrade-Larnaca route. Independence was declared on 25 June 1991. Following that, Adria was facing an entirely new set of circumstances. On 28 June 1991, Yugoslav Federal Air Force attacked Adria’s hangar, causing serious damage to 4 aircraft, building and vehicles. An Airbus A320, less than a year old, was heavily damaged and was flown to Toulouse later that year for almost a year of repairs. In addition, two Dash-7 and 1 DC-9-30 were damaged as well, while other planes escaped damage after being flown just hours earlier to the nearest airport of Klagenfurt. Adria was very handicapped that year because of the insurance and registration issues. In 1991 Adria had 13 aircraft; three Airbus A320, four MD-82, one MD-81, three DC-9-30 and two Dash-7. An additional two Airbus A320 that had been ordered to be delivered in June 1991, were sold to other airlines. Adria Airways became Slovenia’s national air carrier and its operational structure changed. From being largely a charter airline it transformed itself into a scheduled operator. Adria began to set up a network of scheduled flights around Europe to serve the needs of an independent Slovenia. Later in 1992 the company joined the Amadeus global travel distribution system. A period of restructuring and rehabilitation of the company began. In the next years, Airbus A320s were mainly leased out, as well as MD-82s. A MD-81 and a MD-82 were sold at 1994. The other three MD-82 and a DC-9-30 were sold at the end of 1995. As a part of the ownership restructuring of Adria Airways, in February 1996 the Government of Slovenia obtained a 100% share in the company. In 1996, in line with administration’s rescue programme, a rehabilitation procedure was started the aim of which was to enable the company to run on market principles. The main emphasis was on the rationalization and modernization of the operations and the adaptation of the fleet to market requirements. The number of employees has been reduced from 931 to 618. In 1996, fleet consisted 3 Airbus A320 with 168 seats (at least 2 were leased out most of the time), 2 DC-9-30 with 105 seats and 2 Dash-7 with 46 seats. Adria started a corporation with the Lufthansa later in 1996. In April 1997, Adria ordered two new Bombardier CRJ200LR planes with an option for one more. Planes were delivered in 1998 when 2 Dash-7 and 2 DC-9-30 left the fleet. Another CRJ200LR arrived in late 1998. Bombardier CRJ200LR were chosen as the best option for flights operated from Ljubljana, which allowed for more flights to be flown directly and more frequent. CRJ200LR are in 48 seats configuration which give space for a larger baggage compartment needed for charters. In 1999 Adria’s fleet consisted of three Airbus A320, which were now operating back home, and three CRJ200LR. In 2001, Adria Airways recorded a large decrease in the number of annual passengers as a result of the September 11, 2001 attacks. In winter 2001-2002 Adria started flying in the EU market on the Vienna-Frankfurt route. In July 2002, Bombardier Aerospace selected Adria as the first authorised heavy maintenance facility for CRJ aircraft in Europe. In 2005, 7th brand new CRJ200LR with 50 seats was delivered to Adria. Adria ended with a loss of around €10 million and a new CEO was announced later in 2005. Tadej Tufek became a new CEO in 2006. 2 Boeing 737-500 (112 seats) aircraft were leased from Ukraine International Airlines and Cirrus Airlines to fill the gap between A320 (162 seats) and CRJ200 (48/50 seats). A Airbus A320 was leased to Afriqiyah Airways till the late 2009 while another Airbus A320 joined Afriqiyah in the winter 2006-2007 till the Summer 2008. In 2006, the company recorded a minimal profit and transported its first annual millionth passenger since the late 1980s. In 2007, Adria ordered 2 Bombardier CRJ900 which were delivered in May. During the Summer the fleet consisted of an Airbus A320 (162 seats), a Boeing 737-500 (112 seats) leased from Ukraine International Airlines, 2 Bombardier CRJ900LR (86 seats) and 7 Bombardier CRJ200LR (48/50 seats) aircraft. In November 2007 Adria announced to purchase a new CRJ1000 NextGen and 2 new CRJ900 NextGen aircraft. Adria ended year with a small profit. Adria started a new decade with a huge accumulated loss. However, the future looked bright as two brand new A319 were planned to arrive in April 2010. In March 2010, Adria added Belgrade to its schedule, which was last operated prior to the disintegration of Yugoslavia. In April 2010, all operation was moved to Maribor, as Ljubljana airport was having its runway renovated. Later that month, Adria like many other airlines in Europe, was grounded due to the eruption of Eyjafjallajökull in Iceland. New flights to Banja Luka  started in July, which were operated in co-operation with Sky Srpska. Flights ended a year later. Later that month, flights to Marseille were started, offering Turkish truck drivers a connection from Istanbul via Ljubljana. These flights were cancelled at the end of 2011. In the summer of 2010 Adria’s fleet consisted of an Airbus A320 (162 seats), 2 Airbus A319 (135 seats), 4 Bombardier CRJ900LR (86 seats) and 7 Bombardier CRJ200LR (48/50 seats) aircraft. On 11 September 2010, Airbus A320-231 (S5-AAA), was retired and is stored at Ljubjana Airport. With the beginning of the winter timetable, flights from Marseille were moved to Toluon. From December 10, 2010, Adria started serving new routes from Pristina, Kosovo. Destinations during the winter were Düsseldorf, Frankfurt and Munich. During summer, Brussels, Copenhagen and Paris were added to those started in the winter season. In February 2011, CRJ100LR (S5-AAH) was retired and returned in August 2011 to Bombardier Capital. In March 2011, Adria celebrated its 50th anniversary. An exhibition in The National Museum of Contemporary History was made showing the history of Slovenian national carrier. As a part of immediate actions by the new management, 2 new Airbus aircraft were leased. An Airbus A320-231 (S5-AAS, ex EI-DOD) is leased from April 2011 for 3.5 years. It has 180 seats and is mostly operated on charter flights. At June, a second Airbus A320-211 (S5-AAT, ex CS-TNB) was supposed to be leased for 18 months but it was stored in October. It wore Adria retro colours from the 1960s. On January 26, 2012, S5-AAT was returned to the lessor GOAL which sold the aircraft. In summer 2011 Adria operated with 2 Airbus A320 (180/162 Seats), 2 Airbus A319 (135 Seats), 4 Bombardier CRJ900 (86 Seats) and 6 Bombardier CRJ200 (50/48 Seats). The 3rd Airbus A320 (S5-AAA) is still owned by Adria, but it is not operational and is stored at Ljubljana airport. A total loss of €63,073,630 was made in 2010. The majority of the loss was due to revaluation of the fleet, which showed a decrease of €45,443,441 mainly because of poor market value for the CRJ200. Due to revaluation and accumulated losses, a financial restructuring plan was made in August. It involved the Government of Slovenia and the banks from which Adria had taken loans in the past years. According to the plan, the Government would invest €50 million and the banks would convert 25%-50% of the loans into equity. On 21 September 2011, Adria finalised the deal with the banks and the Government. Together Adria got €69,720,983 -- €50 million from the Government, the rest as converted through the loans-to-equity swap. With the beginning of Winter 2011/12 timetable, Adria dropped flights to Banja Luka, London, Paris, Toulon and Warsaw. Also a Vienna-Frankfurt route was cancelled. For the 2012 summer season, Adria returned to 3 seasonal destinations; Barcelona, London Luton and Manchester. In August, Ljubljana Airport reported that it got a new airline to operate on London-Luton route and therefore Adria removed it from the winter and summer 2013 timetable. on 24 September 2012, a leased Bomabrdier CRJ200LR registered S5-AAI was returned to lessor GECAS. Adria now operates five owned CRJ200LR planes and two owned CRJ900LR, two leased CRJ900LR(NextGen) planes and two leased Airbus A319 along with a bigger leased Airbus A320 for a total of 12 planes. For the 2012/13 winter season the company operated nearly the same frequencies as in the last winter season and served the same destinations. The operational fleet was four CRJ900 and four CRJ200. The Airbus fleet operated on charters and would be leased out while the remaining CRJ200 would be used on ad-hoc charters (sport clubs, business/corporate, etc.) and as a back-up. In the summer of 2015 Adria began operating from Maribor to London Southend Airport, England. Before September 2002 sporadic third party maintenance was provided for some aircraft at the site. It was the first recognized service facility for the CRJ100/200/700/900 in Europe. In mid-2005 a partnership was formed with Air France Industries to perform A & C checks on aircraft of the A320 family. In 2010 Adria Airwarys Tehnika was established as a separate company, employing around 250 employees. With two hangars they can service from 2 to 5 aircraft depending on their size. In Summer 2015, Adria Airways operates to 22 scheduled destinations from Ljubljana, 3 from Pristina, 4 from Tirana and 2 from Łódź. The company also operates to 2 regular charter destinations from Ljubljana and 3 from Pristina. 10 September 1976: an Inex-Adria Douglas DC-9-31 and a Hawker Siddeley Trident of British Airways were involved in a mid-air collision over Zagreb, killing 176 people. The collision was attributed to an air traffic control error. ↑ "Information » Adria Airways - The Airline of Slovenia". Adria.si. Retrieved 2012-09-25. ↑ "Airline Information - Adria Airways". www.ch-aviation.com. ch-aviation GmbH. Retrieved 2012-09-25. 1 2 3 4 5 6 "Information » Adria Airways - The Airline of Slovenia". Adria.si. Retrieved 2012-09-25. ↑ "Mitterrand backs A320". Flightglobal.com. 14 January 1984. Retrieved 2012-09-25. ↑ "Flight International December 1987". flightglobal.com. Retrieved 2012-09-25. ↑ "Flight International February 1984". flightglobal.com. Retrieved 2012-09-25. ↑ "Flight International December 1985". flightglobal.com. Retrieved 2012-09-25. ↑ "Flight International November 1997". flightglobal.com. Retrieved 2012-09-25. ↑ "World Airline Directory." Flight International. 18–24 March 1998. 37. "Kuzmiceva 7, Ljubljana. 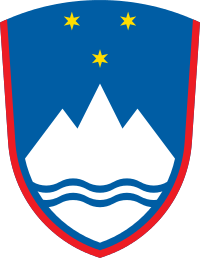 1000, Slovenia"
↑ Home page. Adria Airways. 31 January 1997. Retrieved on 7 February 2011. "Kuzmiceva 7, SI-1000 Ljubljana, Slovenia." ↑ "Contact Us." Adria Airways. 3 October 2003. Retrieved on 7 February 2011. "Adria Airways d.d Kuzmičeva 7 1000 Ljubljana Slovenia"
↑ "Adria Airways Annual Report 2008". Adria.si. Retrieved 2012-09-25. ↑ "Adria Airways Annual Report 2009". Adria.si. Retrieved 2012-09-25. ↑ "Ljubljana Airport will close to all traffic for runway renovation between 7 and 21 April 2010". Adria.si. Retrieved 2012-09-25. ↑ "Aviation news, April 30, 2010". Aviationnews.com. Retrieved 2012-09-25. ↑ "Adria Airways News June 2, 2010". Adria.si. Retrieved 2012-09-25. ↑ "News » Adria Airways - The Airline of Slovenia". Adria.si. Retrieved 2012-09-25. ↑ Archived October 15, 2009, at the Wayback Machine. ↑ "GOAL - operating aircraft leasing". Goal-leasing.de. Archived from the original on 2011-10-20. Retrieved 2012-09-25. 1 2 "Majority share takeover of Adria Airways d.d. completed". Adria.si. Retrieved 2016-04-06. ↑ "Contacts." Adria Airways. Retrieved on 22 September 2010. "Adria Airways d.d. Zgornji Brnik 13h SI-4210 Brnik Slovenia." ↑ "Where can you find us." (Archive) Adria Airways. Retrieved on 22 September 2010. ↑ "Profil podjetja." Adria Airways. Retrieved on 19 February 2012. ↑ "World Airline Directory." Flight International. 26 March 1970. 484. "Head Office: Ljubljana Airport, Jugoslavia." 1 2 "Adria Tehnika". Adria Tehnika. Retrieved 2012-09-25. ↑ Archived June 27, 2010, at the Wayback Machine. ↑ "Vozni red". Retrieved 1 October 2014. ↑ "Profile on Adria Airways". CAPA. Centre for Aviation. Archived from the original on 2016-11-01. Retrieved 2016-11-01. ↑ "ASN Aircraft accident McDonnell Douglas DC-9-32 YU-AJO Praha-Ruzyne International Airport (PRG)". Aviation-safety.net. Retrieved 2012-09-25. ↑ "ASN Aircraft accident McDonnell Douglas DC-9-31 YU-AJR Vrbovec". Aviation-safety.net. Retrieved 2012-09-25. ↑ "ASN Aircraft accident McDonnell Douglas DC-9-81 YU-ANA". Aviation-safety.net. Retrieved 2013-01-13.